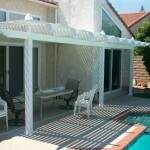 Great looking patio covers that last a lifetime. 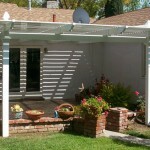 Patio covers can be installed as free-standing units or attached to your home. 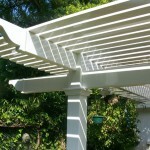 The posts can be anchored into concrete, wood, or earth. 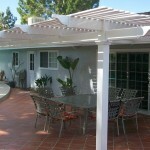 Accessories such as lights and railing can be added. 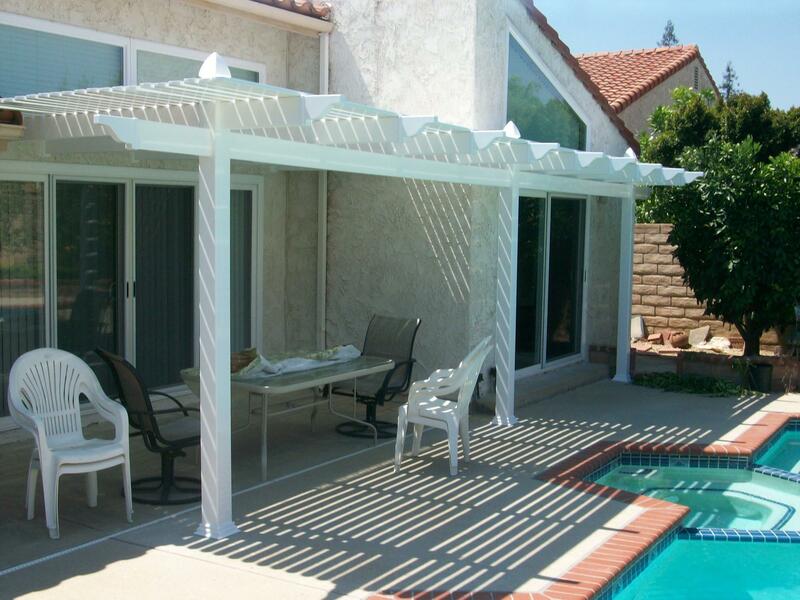 Our patio covers are engineered to meet state and local engineering standards. 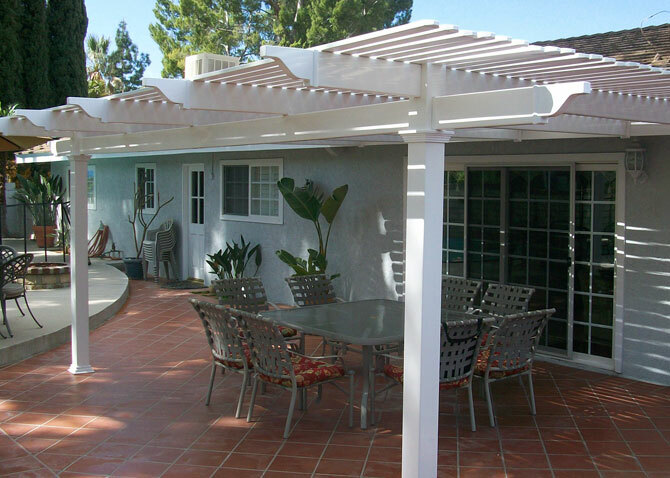 Unlike wooden patio covers, our patio covers give you a lifetime of enjoyment with no worries about rotting, termites, water stains and other wear-and-tear. No cracking, chipping, peeling, rotting, or fading. 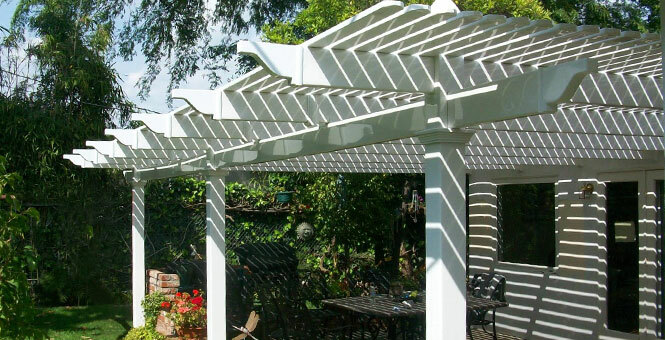 Routed construction & patented interlocking system provide you with a strong and durable patio cover, without unsightly brackets, screws, or nails. 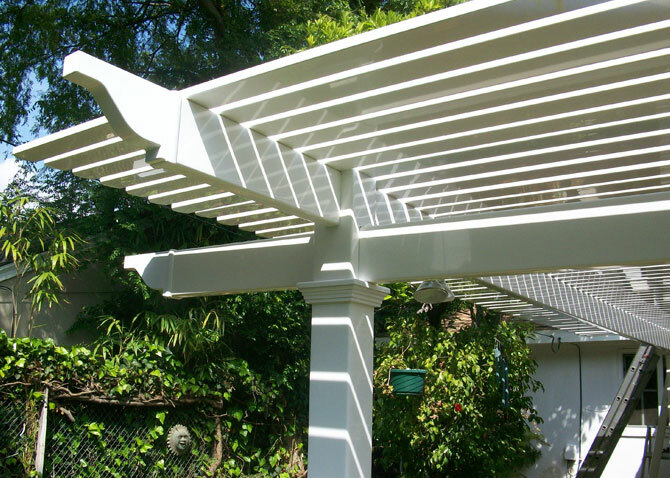 Specially Designed to Withstand the California Sun. 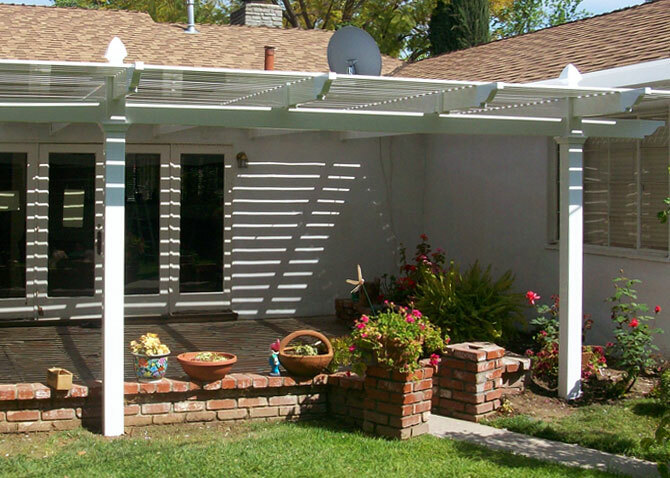 Call or email us today to request your free estimate or get answers to your questions.